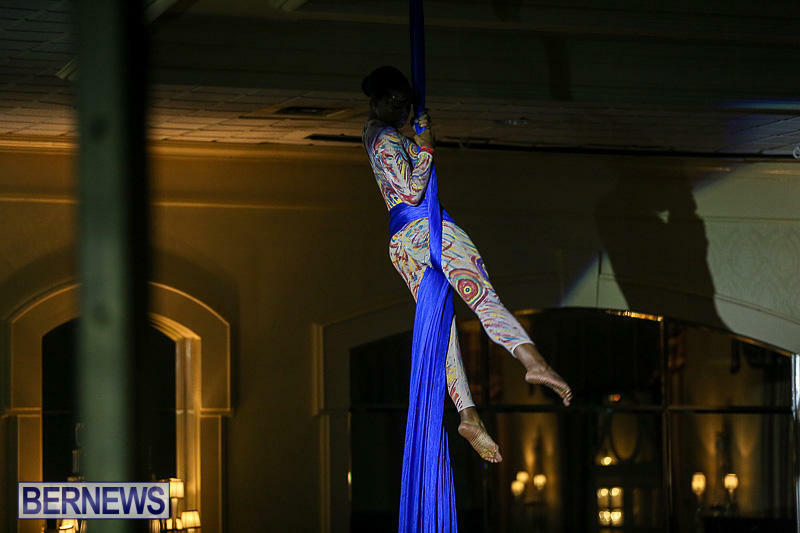 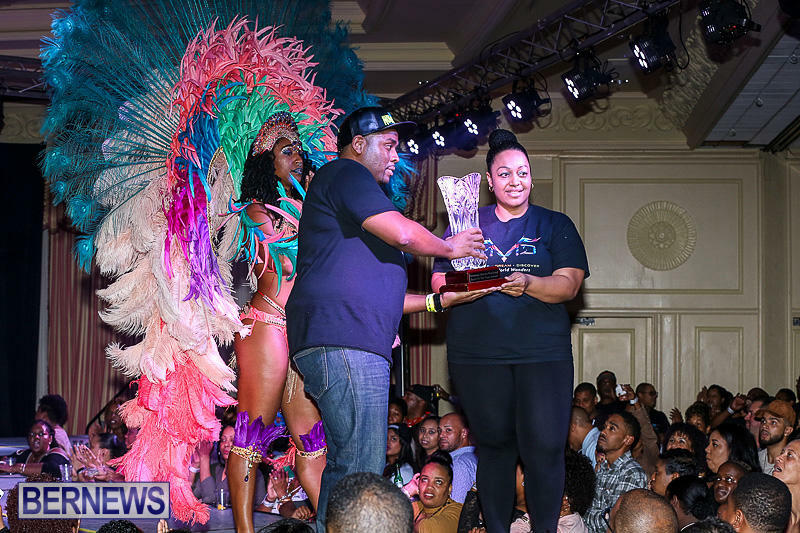 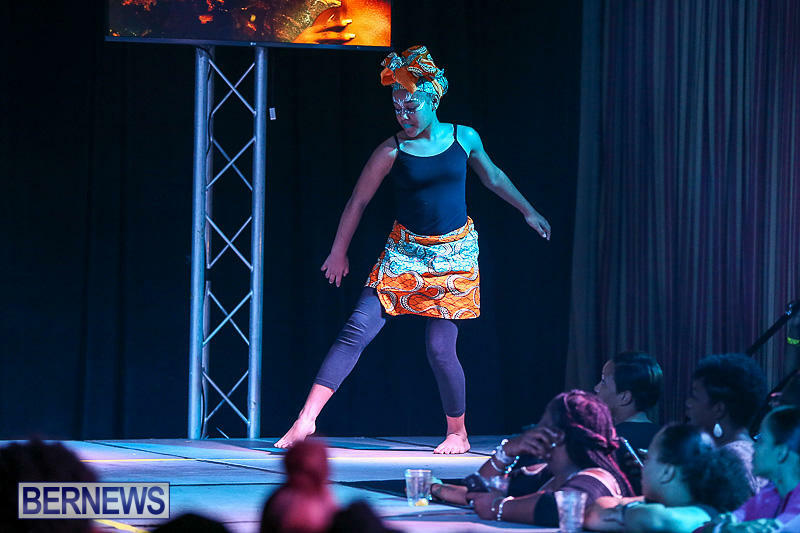 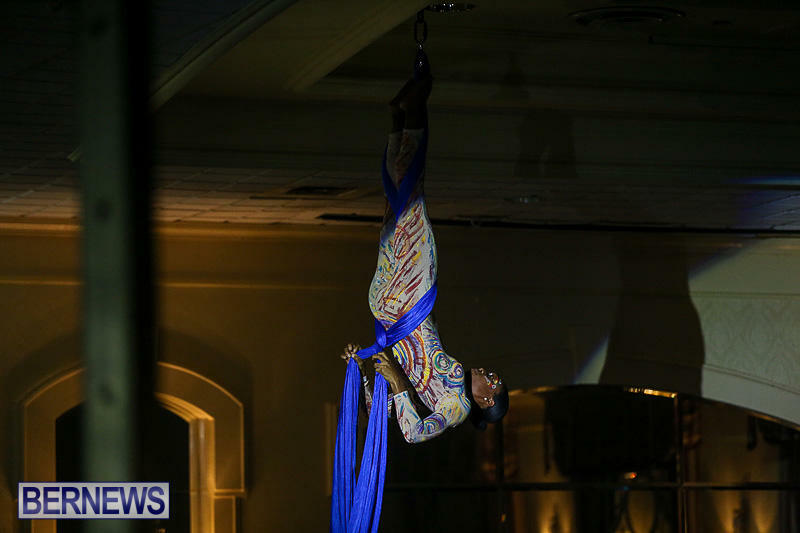 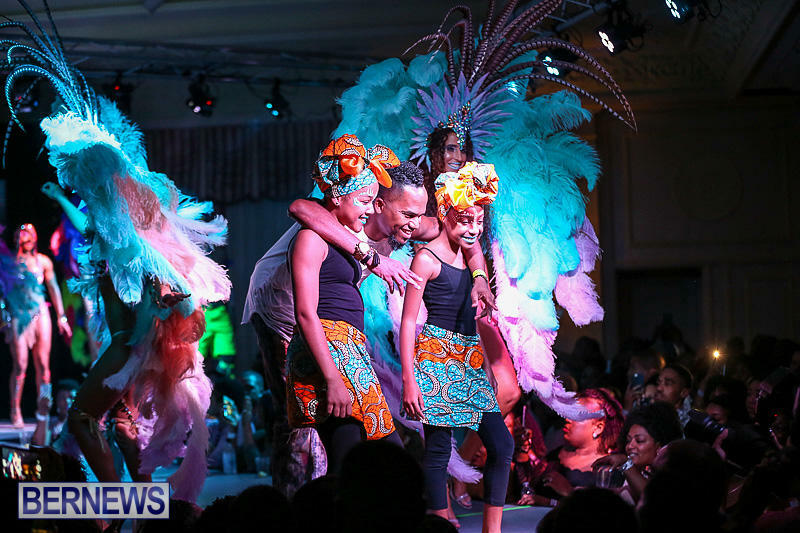 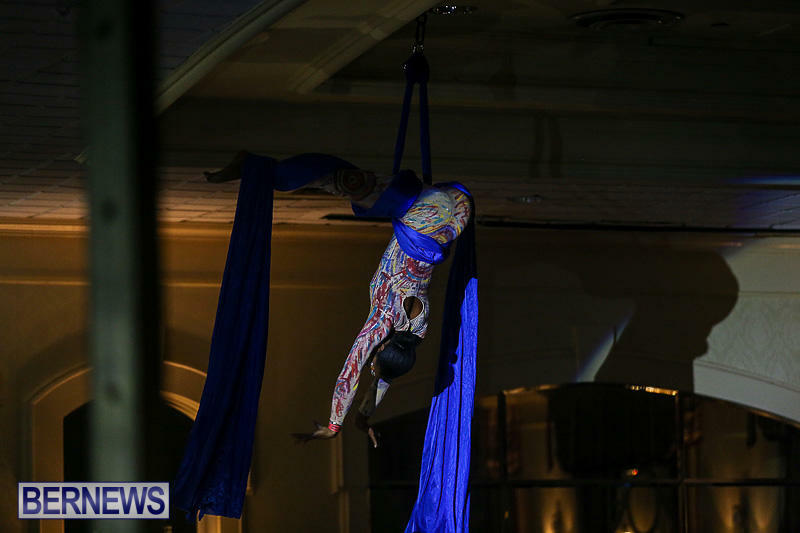 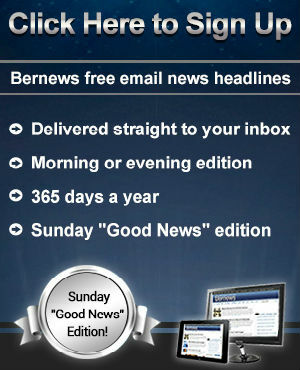 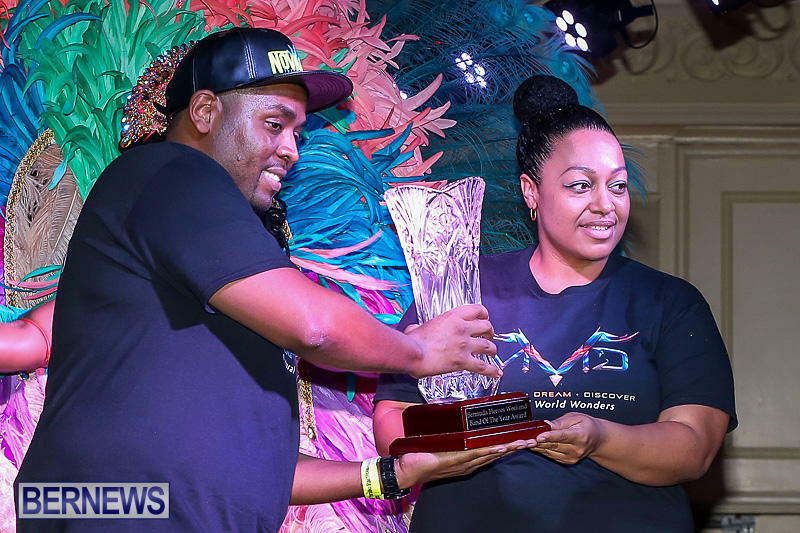 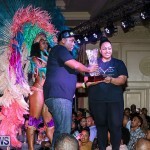 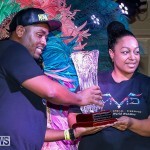 Nova Mas International was presented the Bermuda Heroes Weekend 2016 Band of the Year Award at the Bermuda Heroes Weekend second annual launch at the Fairmont Southampton Resort on Sunday [Jan 8]. 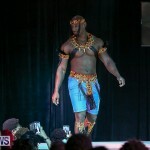 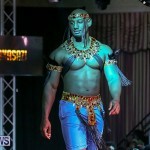 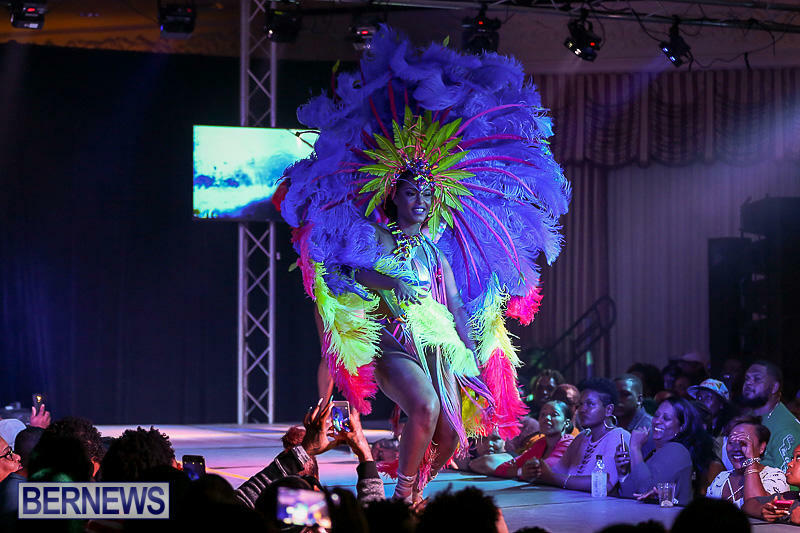 Organisers hosted a weekend of events including a costume preview for 2017 where attendees got to see the presentation of costumes for each of the seven bands participating in Parade of Bands 2017. 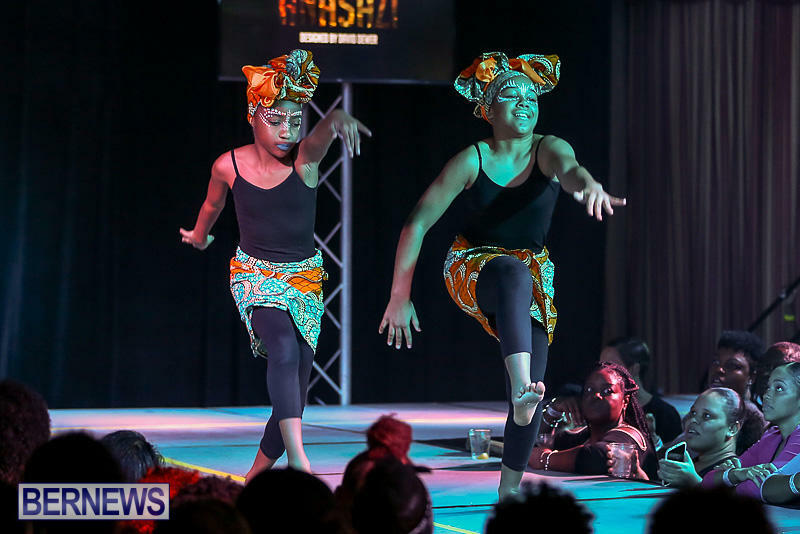 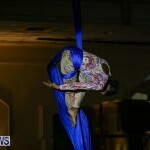 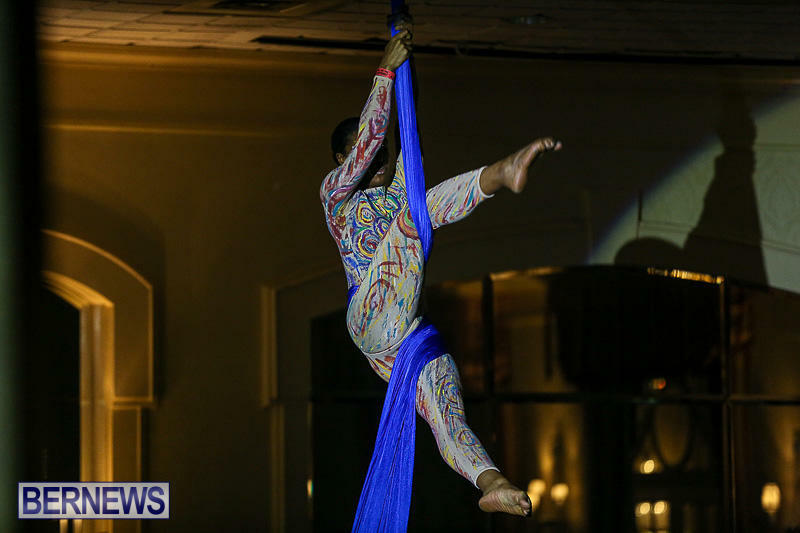 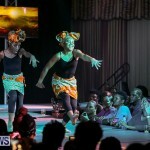 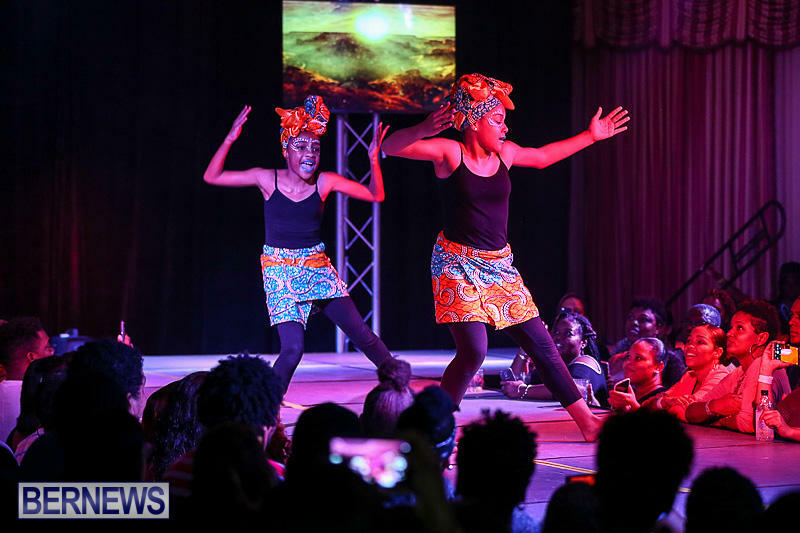 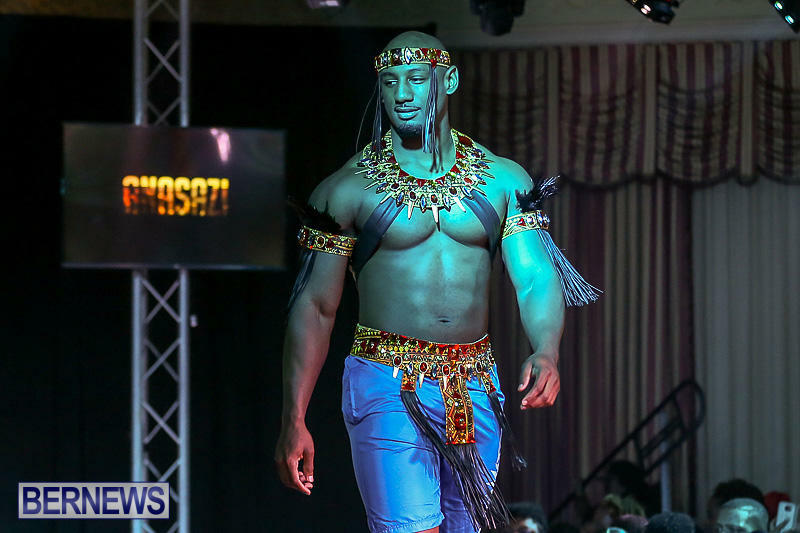 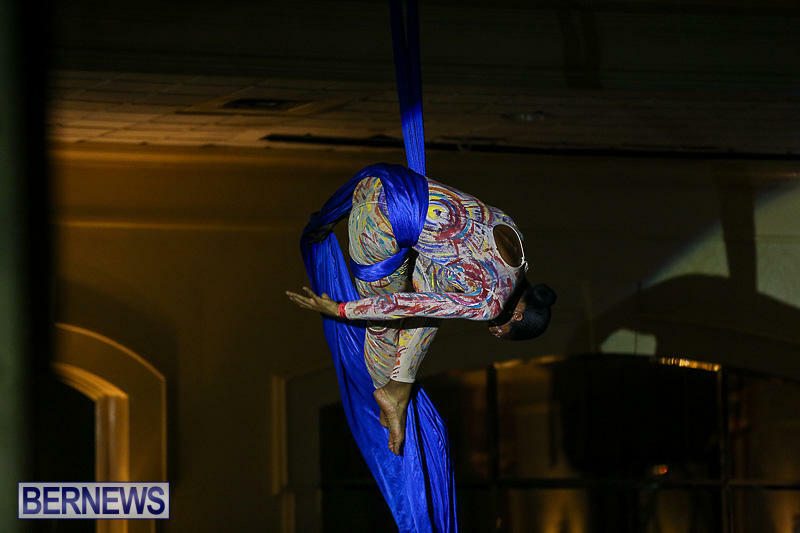 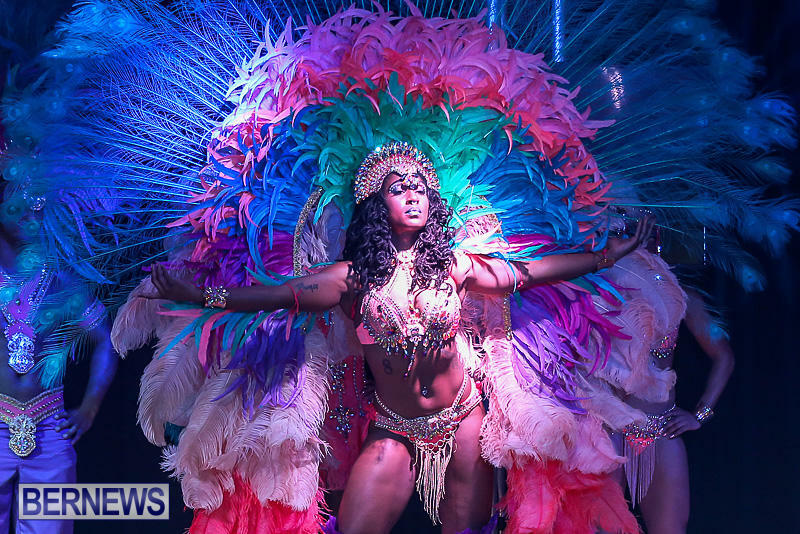 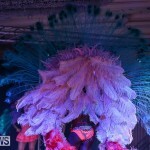 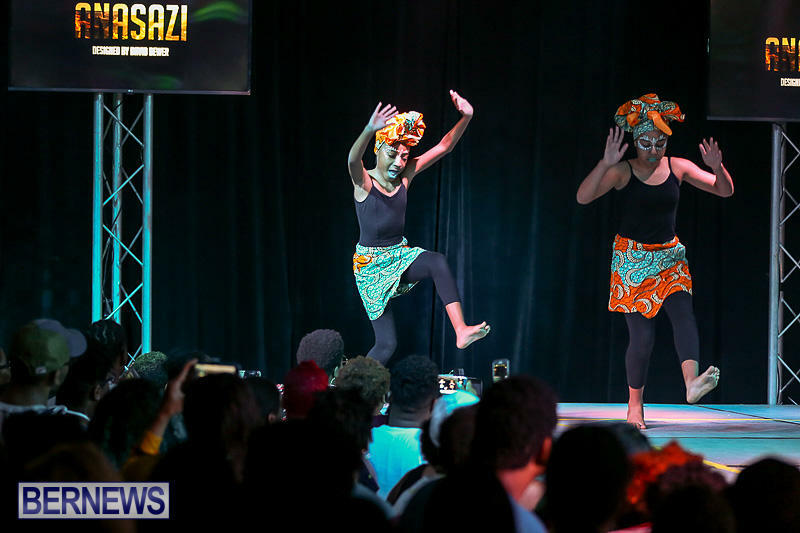 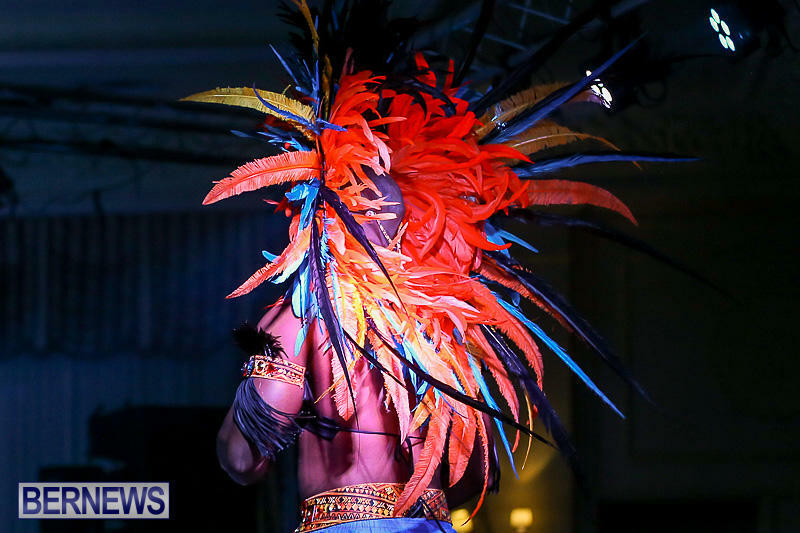 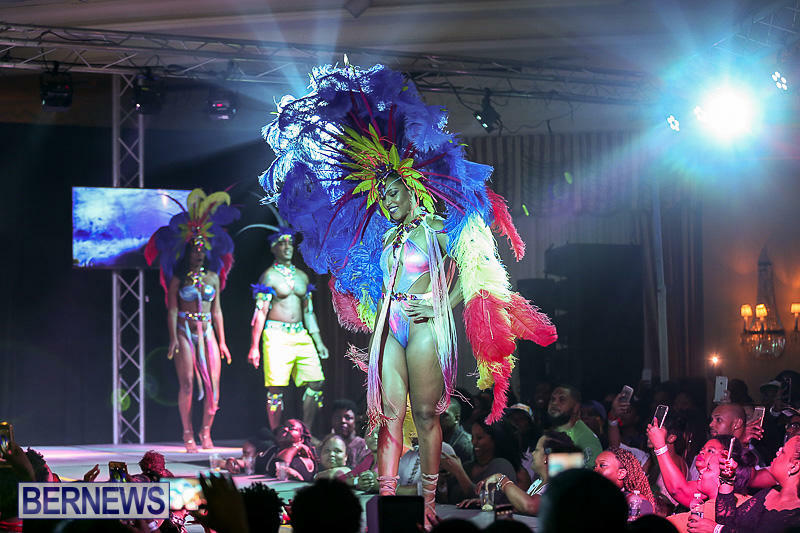 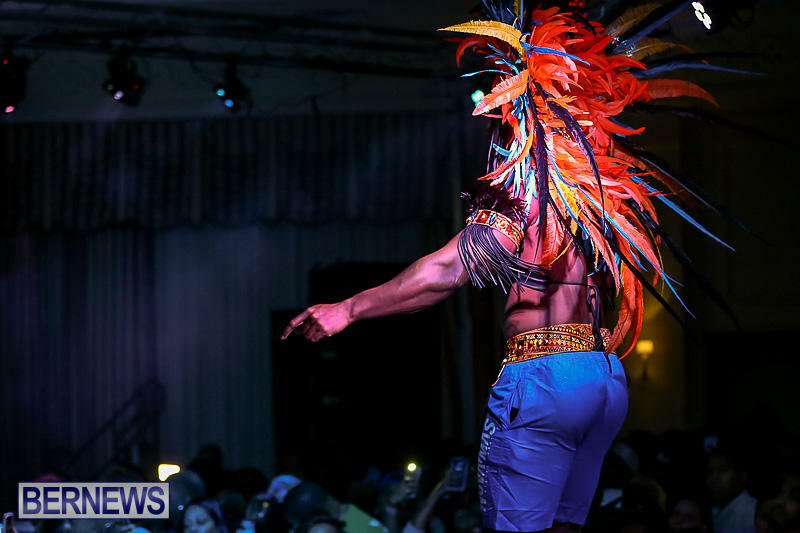 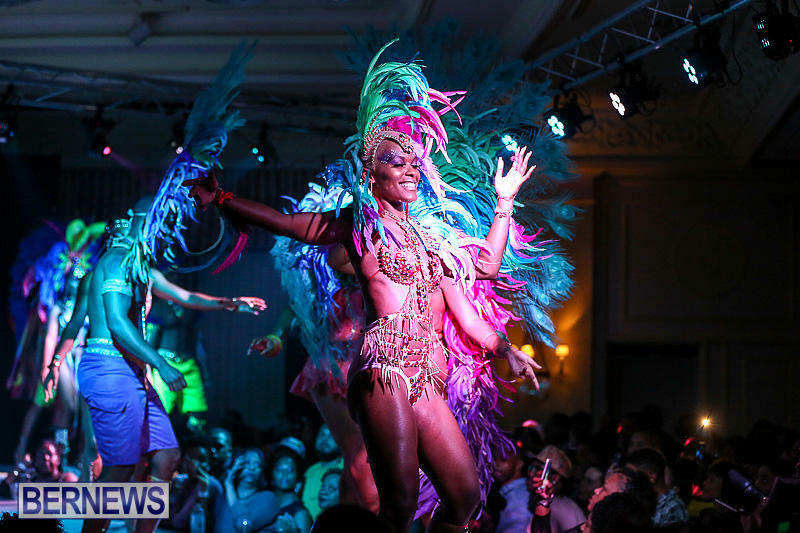 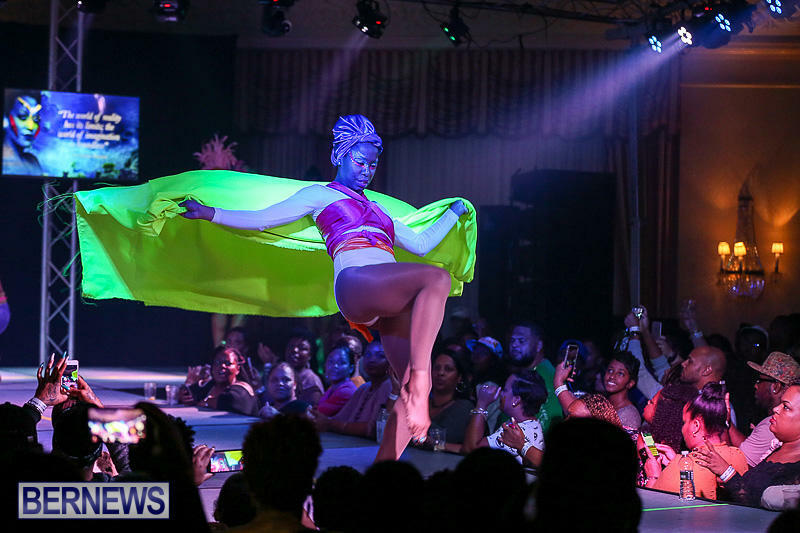 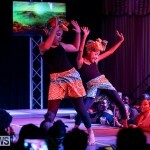 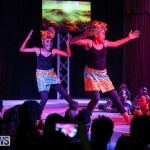 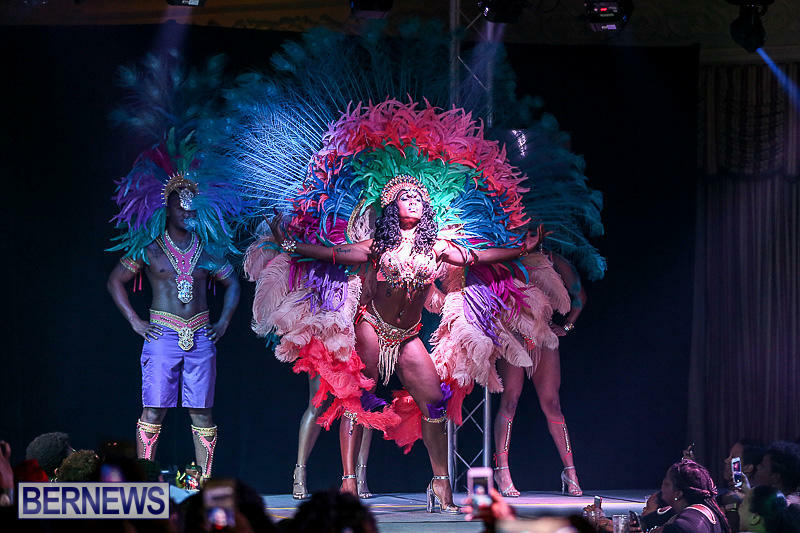 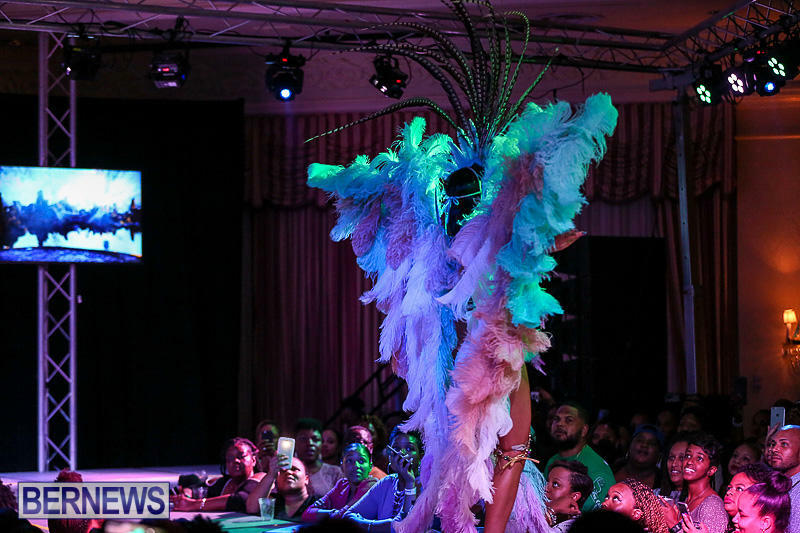 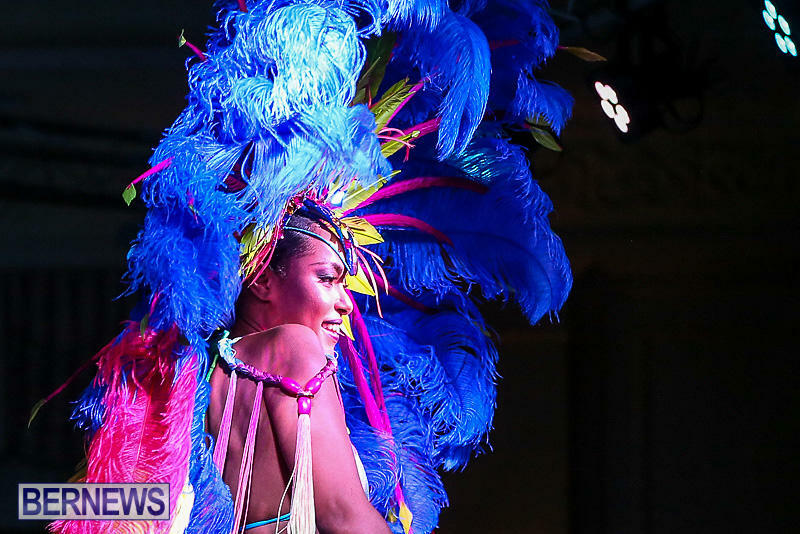 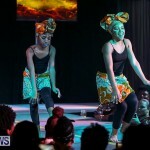 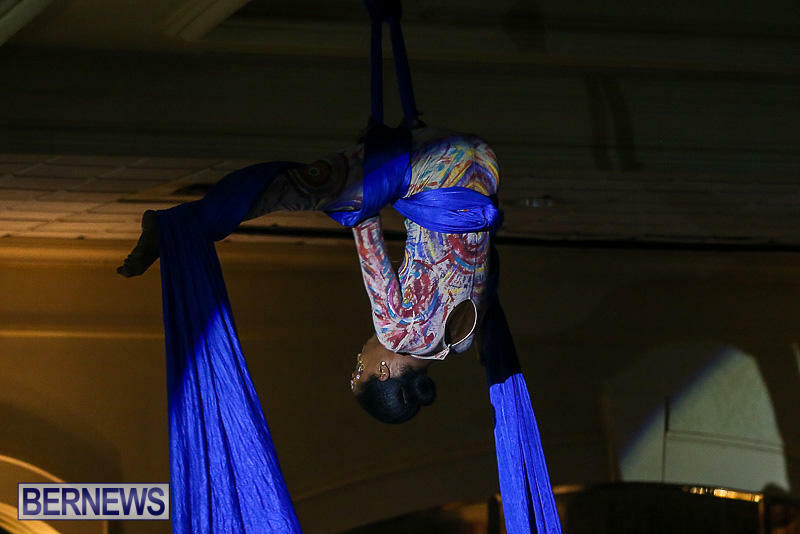 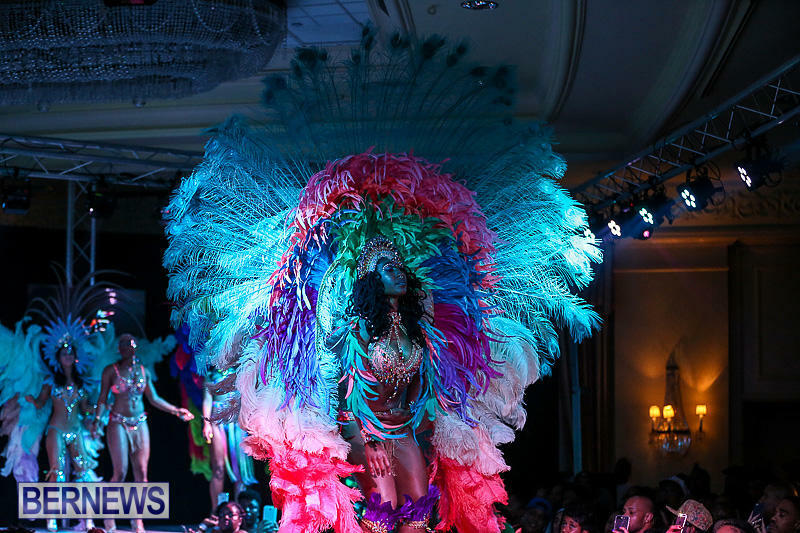 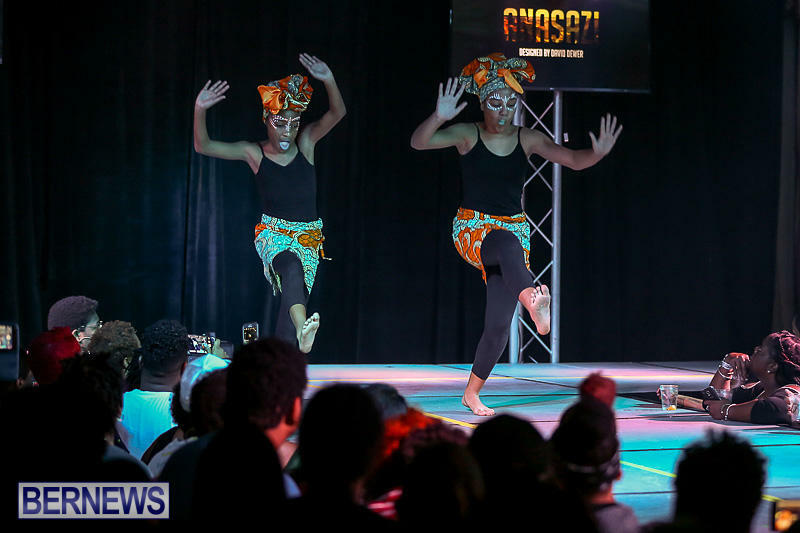 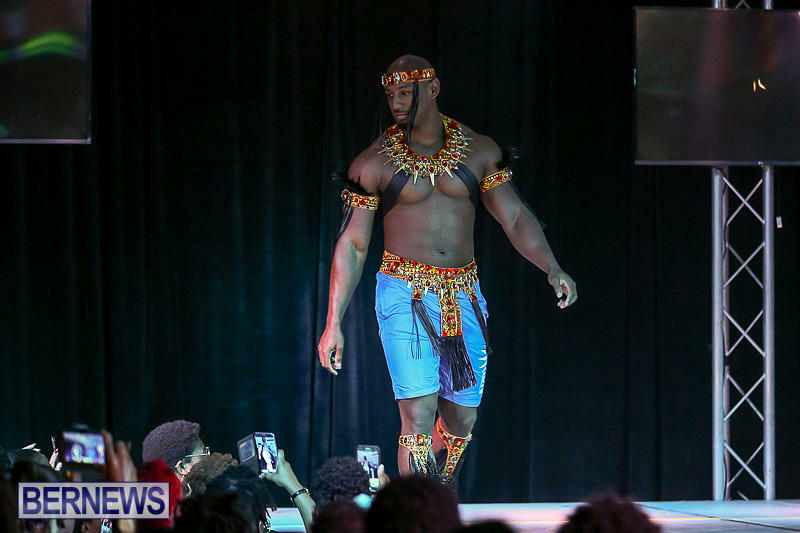 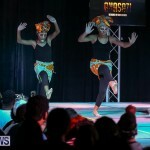 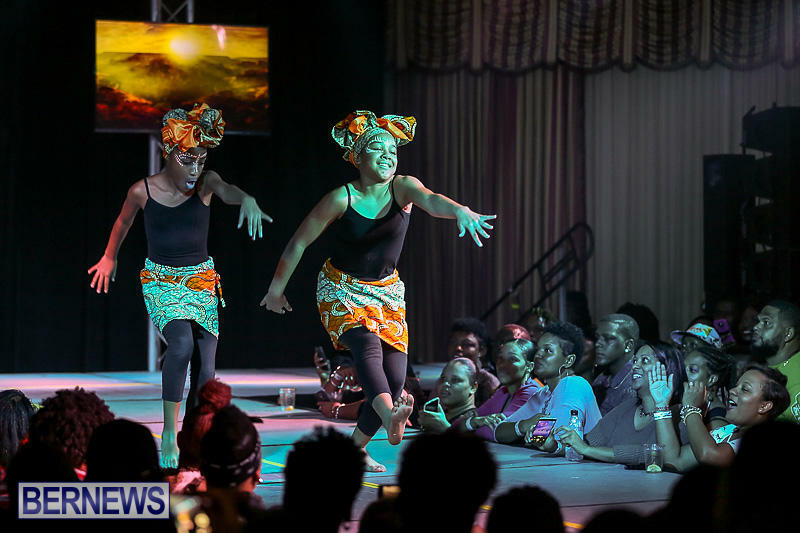 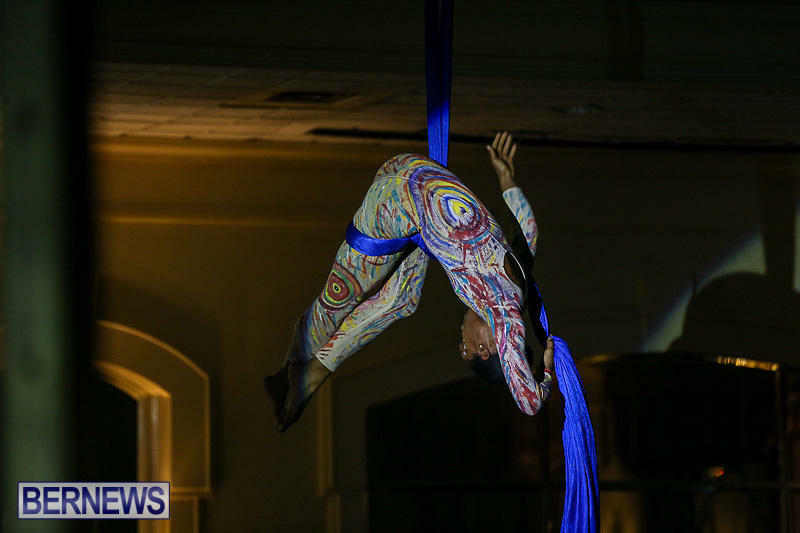 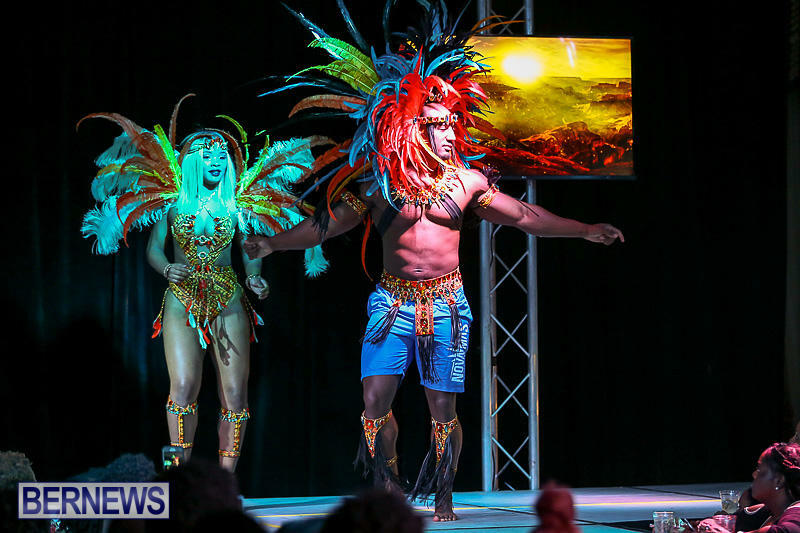 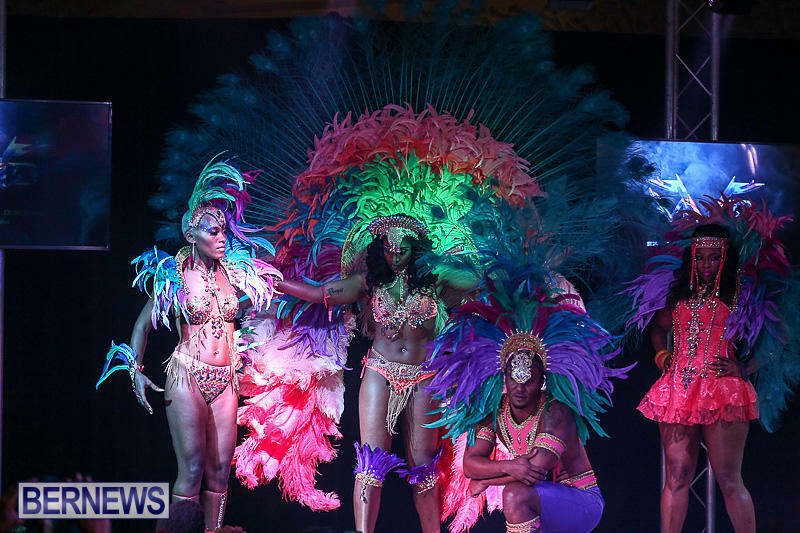 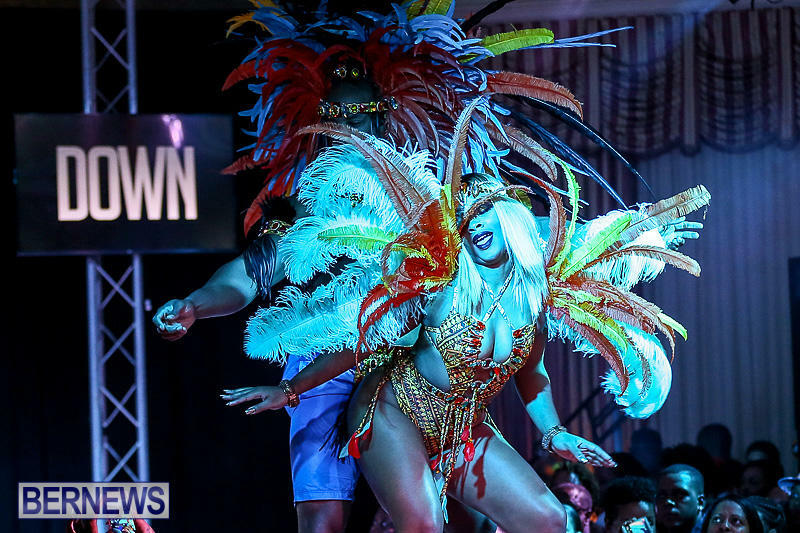 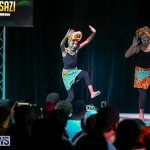 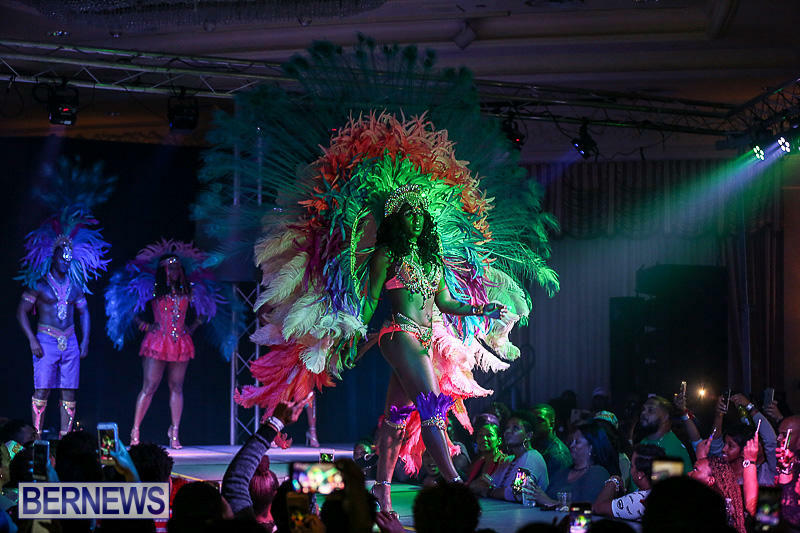 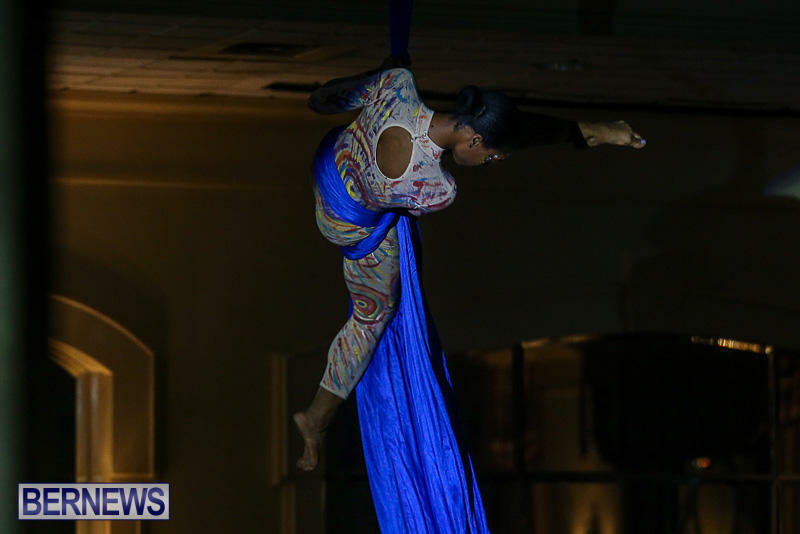 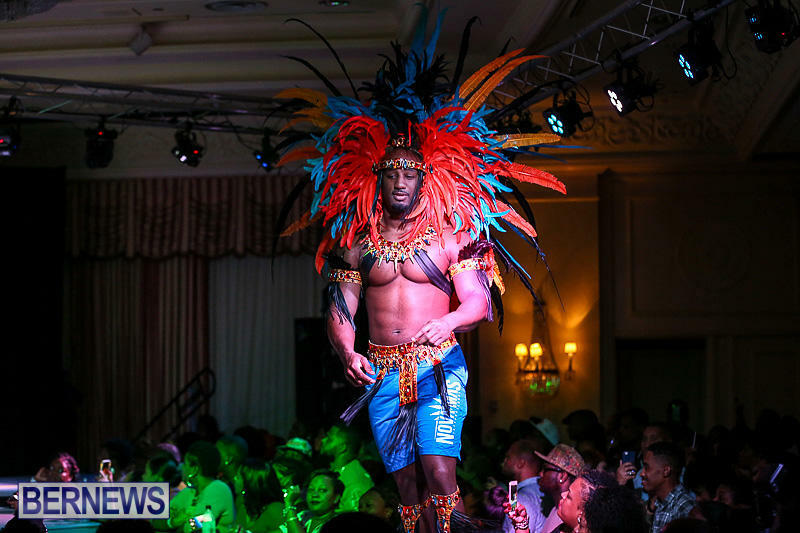 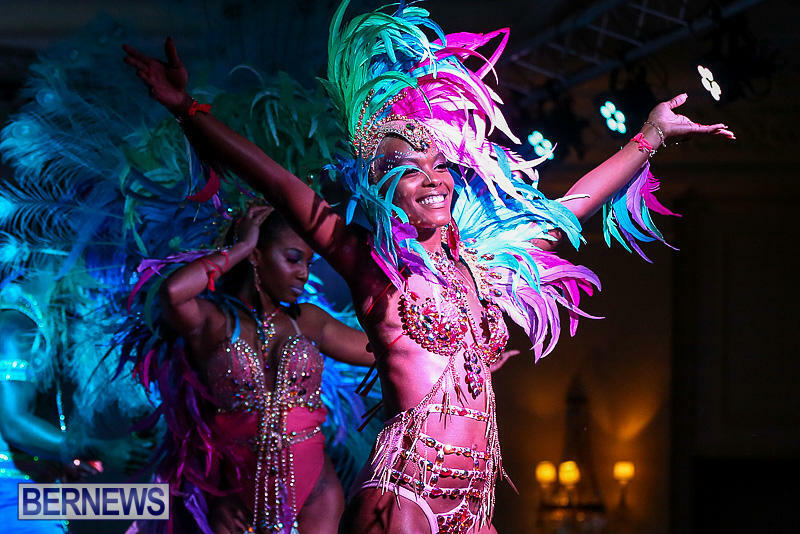 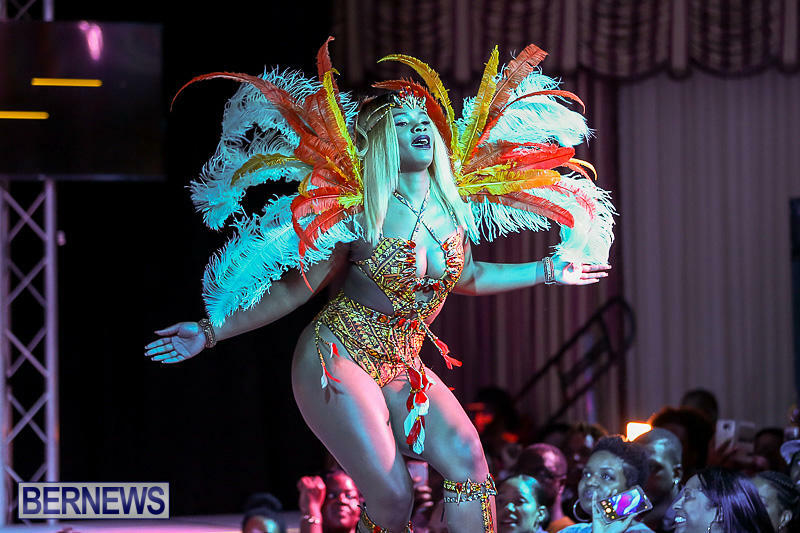 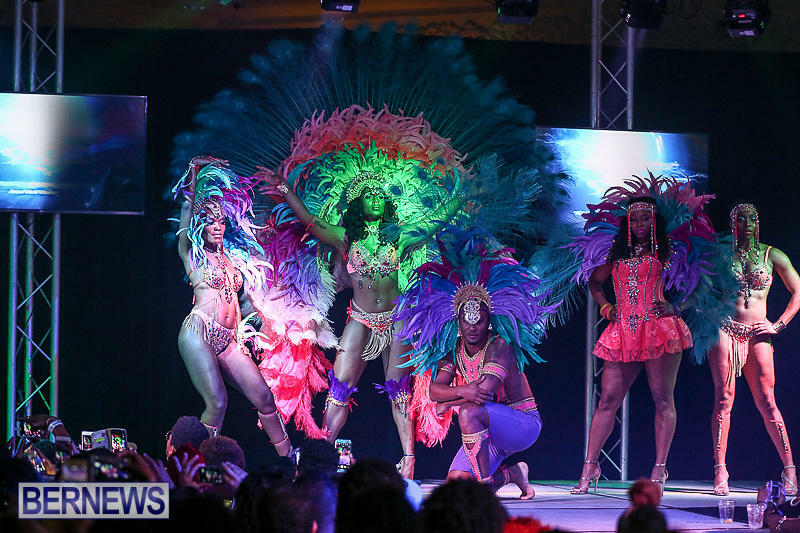 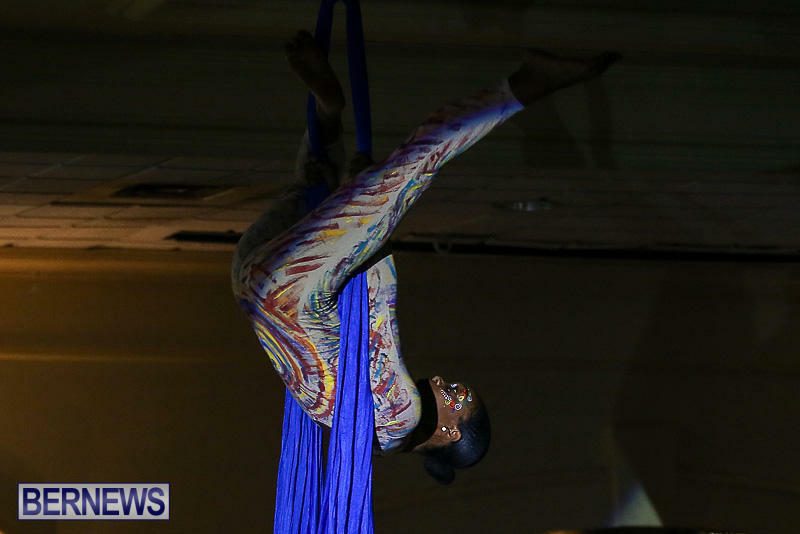 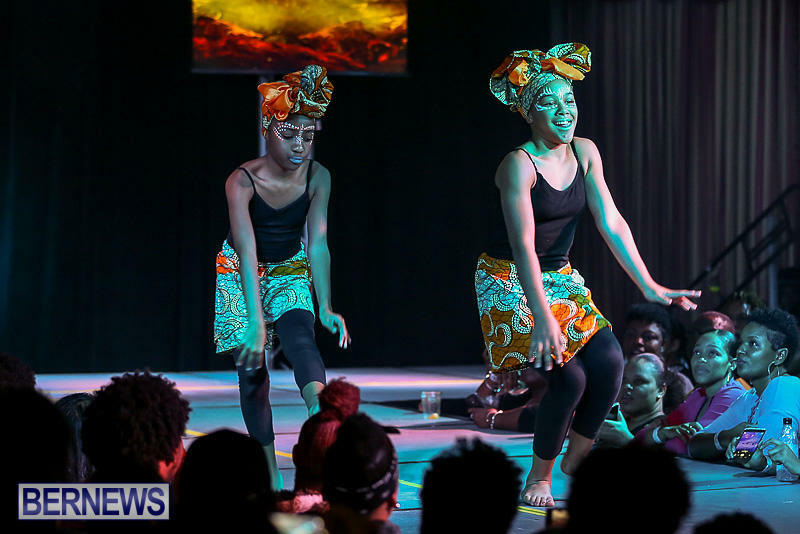 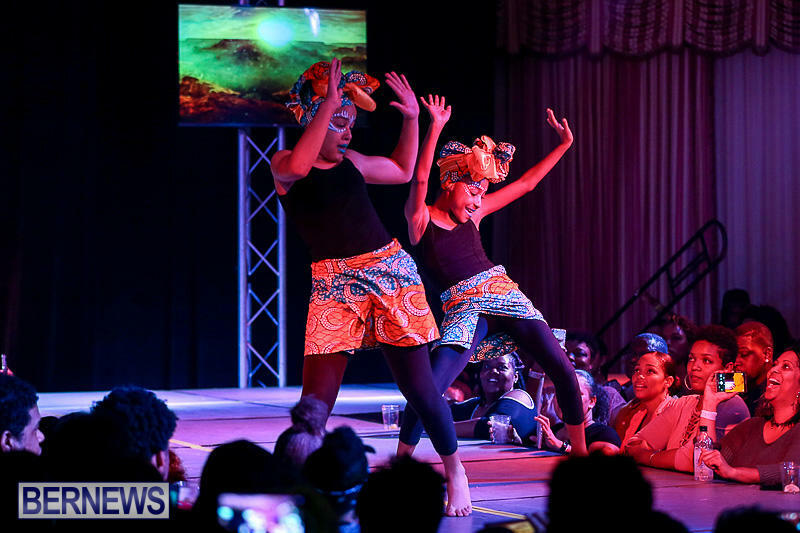 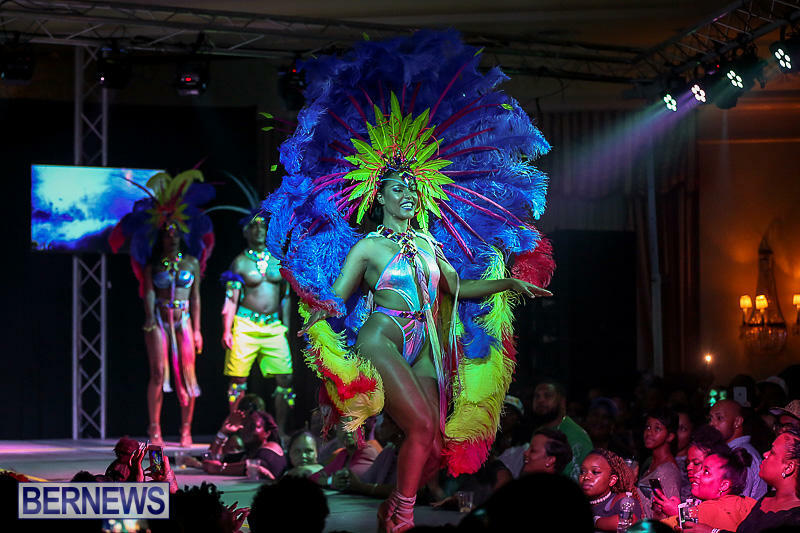 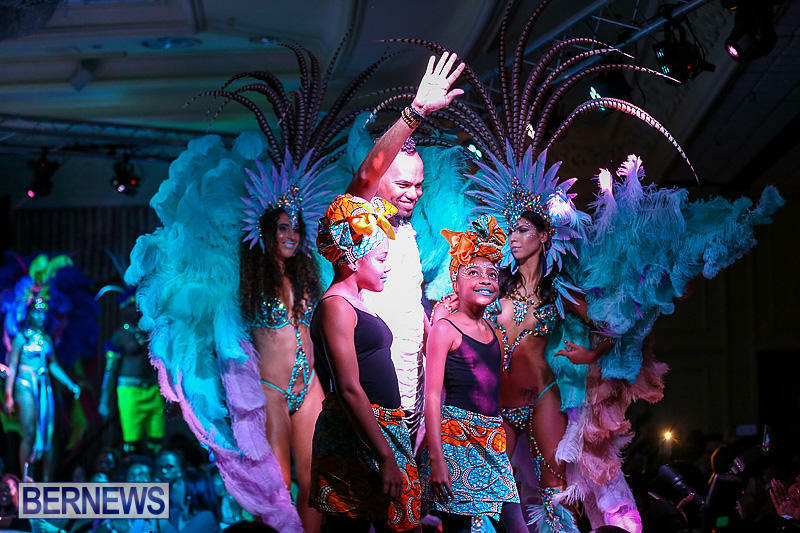 The Bands participating included Nova Mas International, Intense, X-Plosive Mas Band, Ultimate Treasures Carnival Mas, Passion Bermuda Mas Band, Code Red, and Party People. 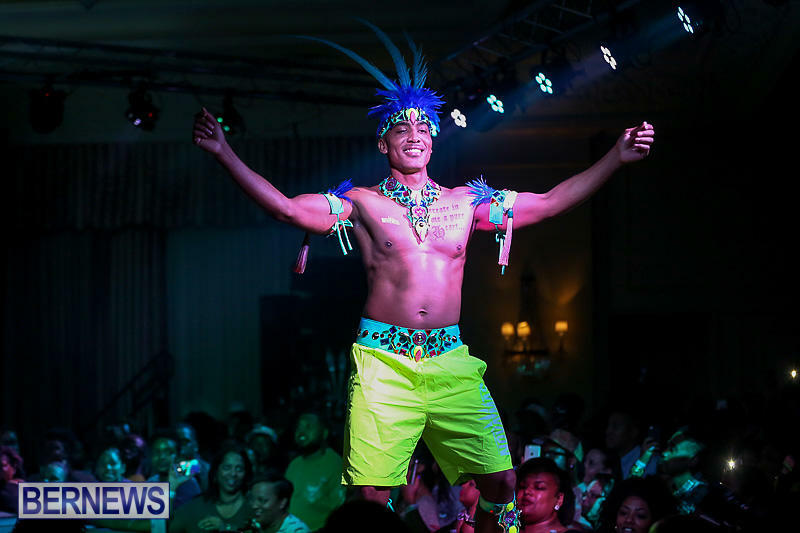 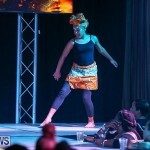 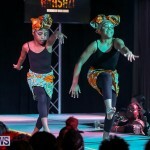 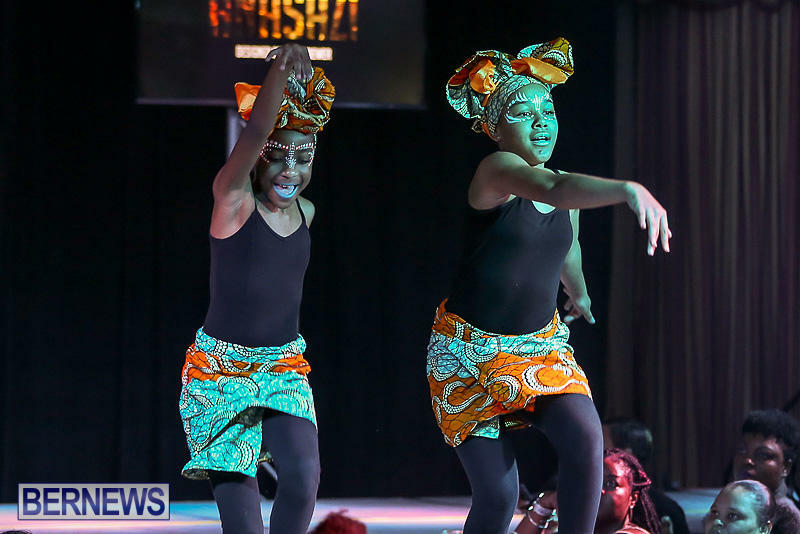 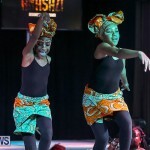 To see photos of some of this year’s children’s costumes and more Nova Mas International costumes click here. 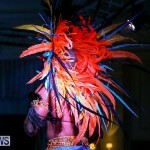 Photos of the other bands from the night will follow.